watchOS 5 had made using Podcasts on the Apple Watch a very delightful experience. 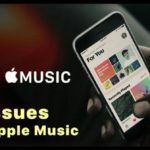 On Apple Watch Series 3 and later with a wi-fi or cellular connection, you can now stream podcasts without your iPhone.In this short article, we will explore some of the basics around how to set up and play Podcasts on Apple Watch and highlight some common tips and tricks along the way. 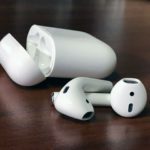 The Podcasts feature on the Apple Watch makes it super convenient for pairing your Airpods with your Apple Watch and taking your Podcasts on the Go when you are out for a walk or run. 5 No Time? Check Out Our Video! The current speaker on the Apple Watch only supports Siri, Voice Calling and Notifications. Music / Audio playback is not currently supported sadly, So you will need to pair it with an external Bluetooth unit to listen to your podcasts or Apple Music. Start by opening the Settings app on your Apple Watch. Tap on Bluetooth and then under the Devices, tap on the Bluetooth device that you want to connect your Apple Watch to and start. 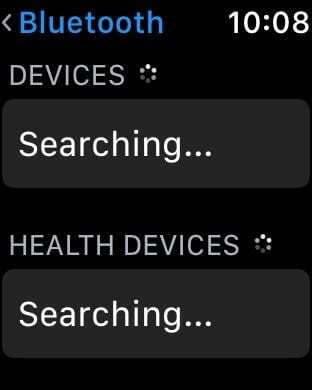 If you recently updated to watchOS 5 and the devices section just keeps showing ‘ Searching…” without being able to locate the device, Perform a forced restart on your Apple Watch and try again. 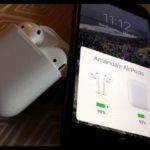 Once you connect your Apple Watch to an external Bluetooth headphone or speaker, you are ready to start the next setup process. On your iPhone, Open the Watch app. Tap on My Watch tab at the bottom of the screen. Scroll down and tap on Podcasts. Here you will find two options. We suggest that you start with Custom. This setting allows you to choose the shows that you want to listen using your Apple Watch. Using the Choose Shows section, toggle ON the particular shows that you want to listen to. These shows are piped in from your iPhone. Podcasts are downloaded when your Apple Watch is connected to power and placed near your iPhone. Once you have played an episode of the show using your Apple Watch, your iOS removes it from your Apple Watch. 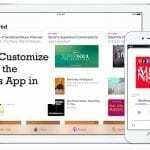 Now that you have completed the basic settings on your iPhone, its time to explore the Podcasts using your Apple Watch. 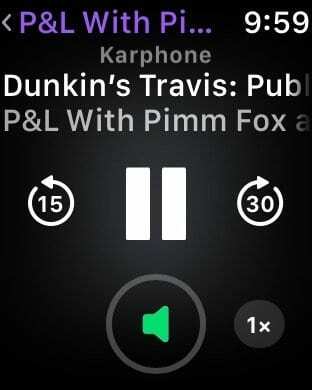 Tap My Watch, then tap Podcasts. 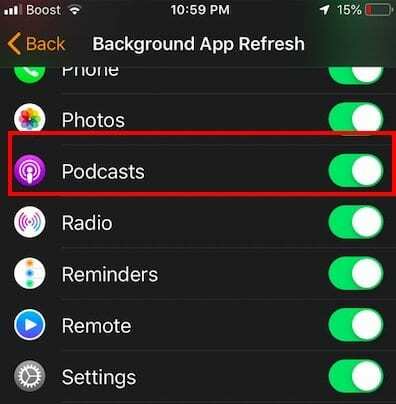 Turn off Listen Now, then turn on the switches for those podcasts you want to sync to your Apple Watch. While exploring the settings, make sure to check your mirroring options. If you have your iPhone Podcasts set up, are you downloading all episodes of a show? Are you only downloading the latest and keeping one episode. 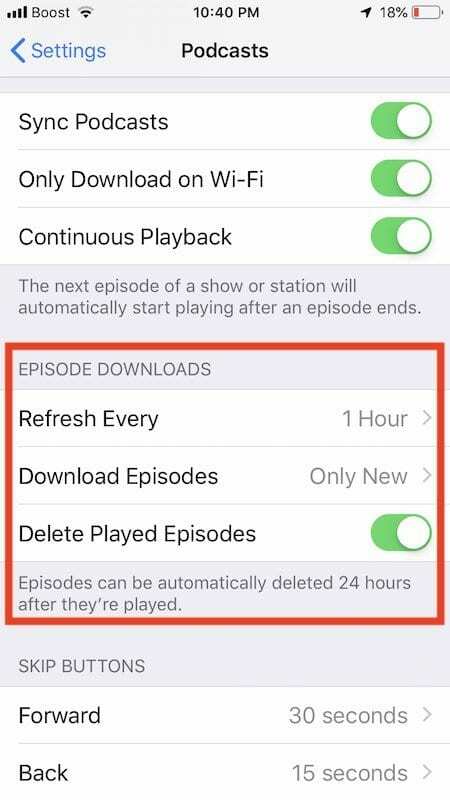 It will be helpful if you check out the settings on your iPhone by Tapping on Settings > Podcasts > Episode Downloads. We have this set up to download only new episodes and delete played episodes. Check out your Preferences. The other Setting that you should check is the Background App Refresh settings on the My Watch App on your iPhone. We have it set to ON for Podcasts to avoid any syncing issues between the iPhone and Apple Watch. 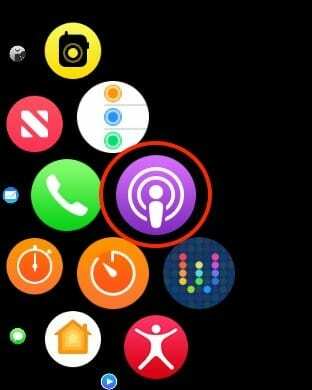 Several users have reported that after updating their Apple Watch to watchOS 5 and their iPhone to iOS 12, they cannot seem to find the Podcast App on their Apple Watch. If you are facing this issue, we suggest the following steps. Try each one of these till it works. To get started, you can tap on the Episodes. Use the crown to scroll through the listings or simply scroll to locate the Episode that you want to play. 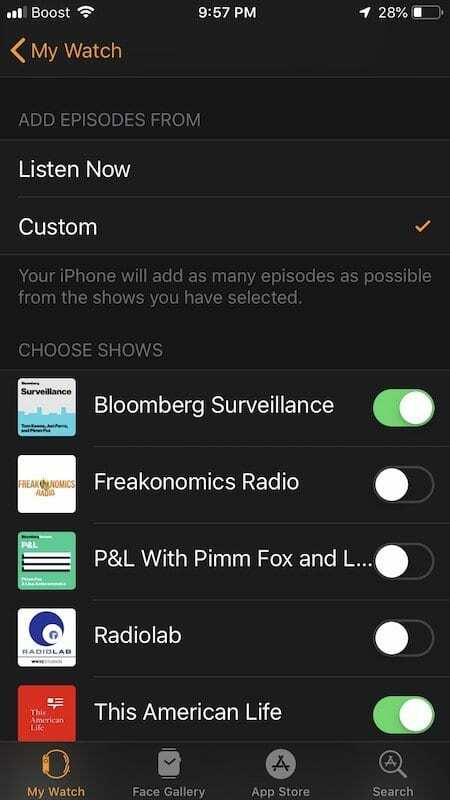 This section should show you all the un-played episodes of the shows that you selected using the ‘Custom’ selection on your iPhone Watch app as shown in the previous section. Tap on any of the shows, and it will start playing. Use the Volume icon on the Watch to adjust the speaker sound. Choose the various podcast controls to customize your listening experience. You can play your podcasts while using the workout app. No issues! If you are looking for third-party apps, The new Overcast app is worth checking out. We hope you found this short article informative. Please let us know if you have any questions in the comments below. My issue is that I have 4.2 GB of podcasts that I just can’t delete. It does not seam that, like music, you can delete individual podcasts. Apparently you have to listen to them for them to delete automatically. Is that correct? 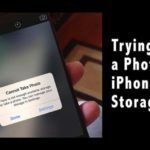 My storage is full and can’t install any updates. Very frustrating. The issue I am having is that after listening to a podcast episode on my watch, it does not sync over to my phone with the result being that the episode I just listened to is marked as unplayed in on my phone. 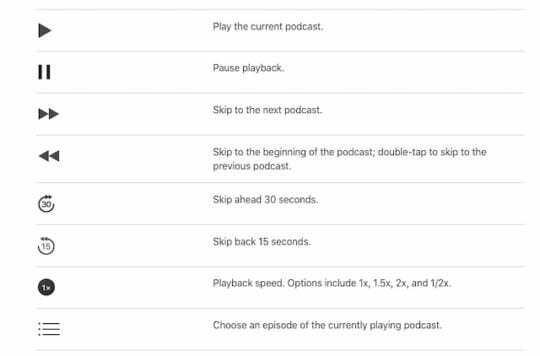 Assuming you are using the same Apple ID on all devices, go to Settings > Podcasts and toggle Sync podcasts off and on, then restart all devices including the watch. 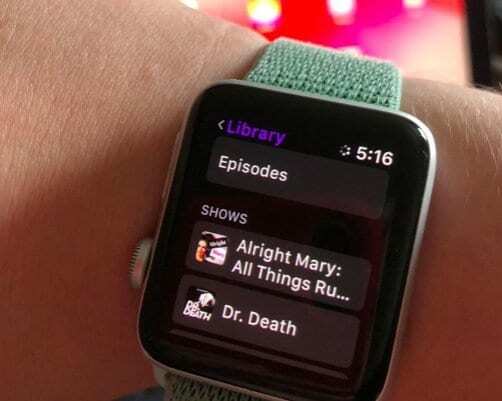 At this time, Apple Podcast subscriptions ONLY sync to your Apple Watch when the watch is charging–so that might be the issue. If not, consider contacting Apple Support’s team for Podcasts App or Apple Watch. And if time allows, provide your user feedback to Apple’s Development Team via this feedback site. 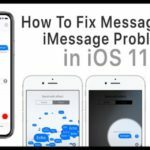 I had this issue where the podcast app was missing Apple Support wasn’t able to help, apparently Apple is aware of this minor issue yet. The reset of the Apple watch resolved it for me.